I got to do a series of cartoons for a cub pack recently who had been thinking of ideas using play-on-words. They supplied the suggestions and all I had to do was draw them. For example, the pack was called First Hawkwell, so they wanted a group of orcs queuing up at a hospital with the first of them coming out cured, or, first orc's well. There were lots of good ideas for me to draw, including the pack leaders' titles. 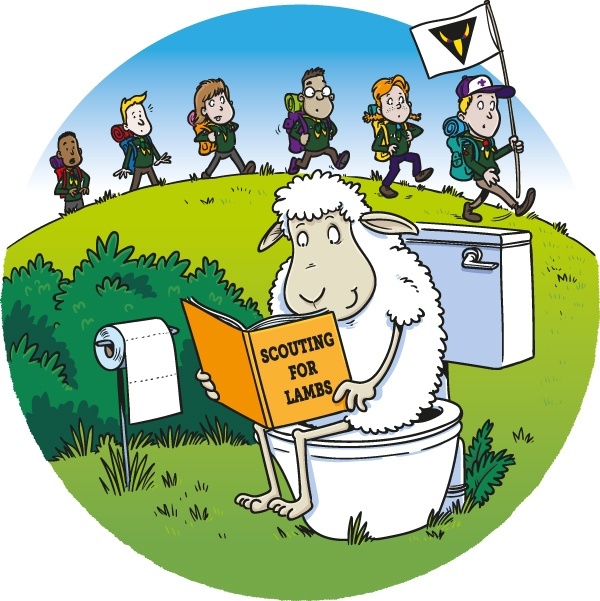 You may not know that the leaders are named after characters in the Jungle Book, so with that in mind, can you work out which character the sheep cartoon refers to? Apparently these shall be adorning clothing right about now.